An hour before the release of ScHoolboy Q’s latest album, “Blank Face LP”, TDE decided to bless us with a Black Hippy remix of “THat Part”, one of the album’s two lead singles. 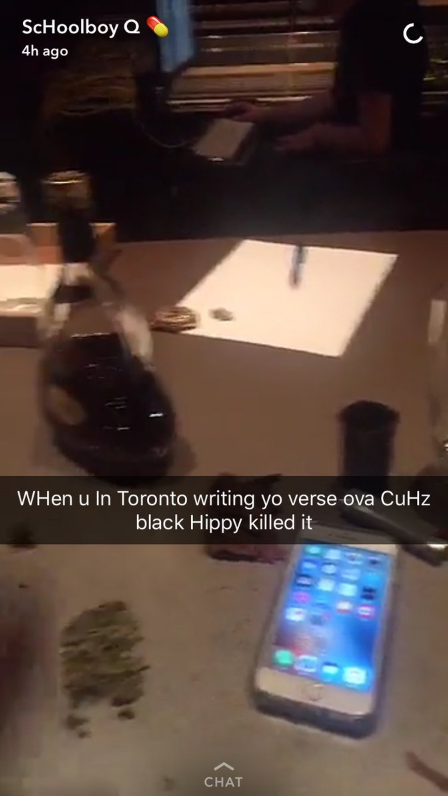 The remix includes verses from each member of Black Hippy, including an all-new Q verse (since he posted on Snapchat yesterday that he was allegedly out-rapped on the remix). Jay Rock snaps as hard as we’ve come to expect from his guest spots over sporadic manipulation of the original track’s knocking instrumental, followed by an incredible Kendrick verse that simply serves as further evidence that this guy is the undisputed king of rap right now. Unfortunately, it also features a surprisingly underwhelming and weak Ab-Soul verse that kills the momentum of the track, however he’s chased by a stellar Q verse that more than compensates for it. Stream the remix below and look out for Hypewriter’s review of ScHoolboy Q’s “Blank Face LP” in the coming days.